All our nameplates, testplates and serial No. plates are manufactured in-house in a range of thicknesses. We actually dye the metal during the anodising process so that the print is under the anodised surface. 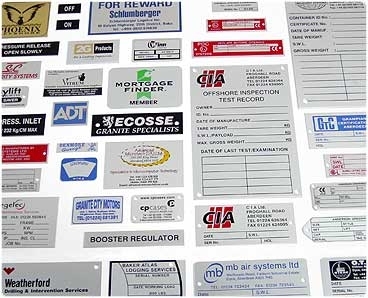 2G Products has been specialising in the manufacture of name plates for more than two decades. To produce the very best quality, our plates are scratch proof and solvent proof. So how do we do offer such a long lifespan? No matter how complex a control panel is, we skillfully place the print 20 microns below the anodised surface, meaning they’re also scratchproof and solvent resistant too! 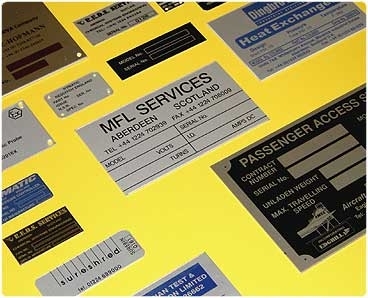 As an experienced UK based front panel manufacturer, we also offer a range of traditional manufacturing methods to make nameplates, decals and stickers in aluminium, 316 stainless steel, traffolyte and plastics and vinyl, focusing on the industrial high durability end of the market. · All our panels are manufactured in-house in a range of thicknesses. · Friendly in-house team who will go above and beyond to exceed your expectations. · We actually dye the metal during the anodising process so that the print is under the anodised surface. 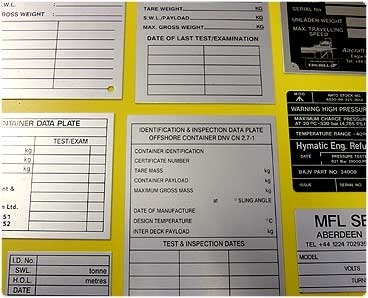 · In addition to nameplates and testplates, we can also manufacture you rack panels, mimic panels and fascia panels. · They are always scratch and solvent proof. · Expertly C.N.C. machined for your components to fit.